Building permits for single-family homes led the gains in overall permit issuance in December. New figures from Statistics Canada shows that Canadian municipalities issued $2.8 billion in permits for single-family dwellings, up 8.9% from November, the largest monthly rise during 2017. Ontario saw a 15.7% month-over-month rise. 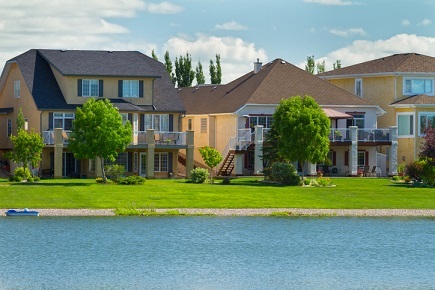 There was also a large rise for multi-family intentions, especially in British Columbia. Nationally there was 7% rise in permits issued for this sector to $2.4 billion. The value of permits issued in BC almost doubled from November to $808.7 million. Overall permit issuance for all property types (including non-residential) was up 4.8% in December to $8.1 billion, following a 7.3% drop in November. For the whole of 2017, permits were up 10.4% year-over-year with multi-family leading.